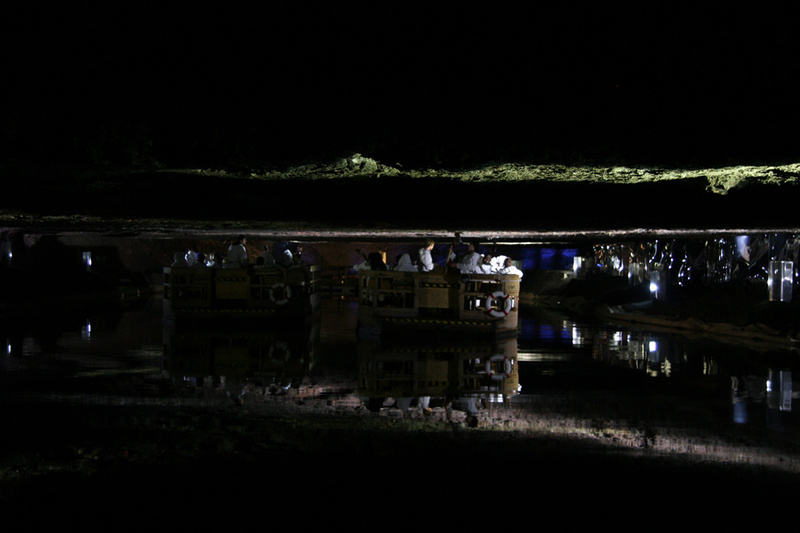 Depart and Stefan Fraunberger present a new Performance in the series REVERB.ON in cooperation with Schmiede and Salzwelten Salzburg: Chukwa’s Approach. 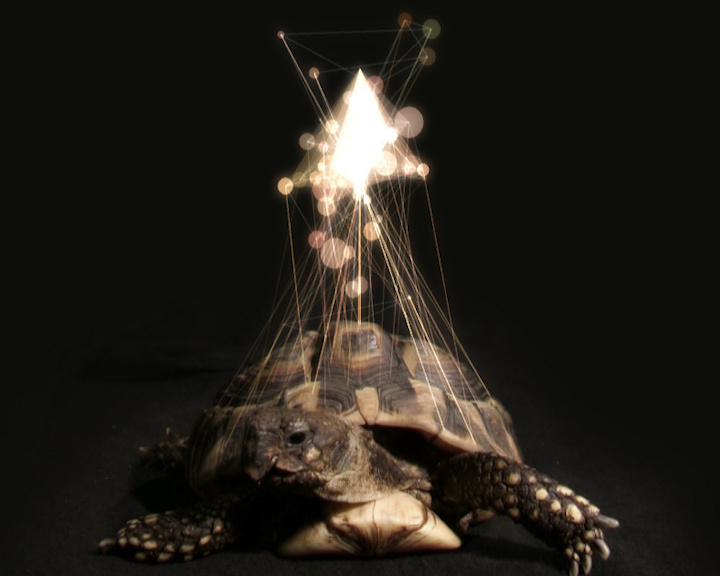 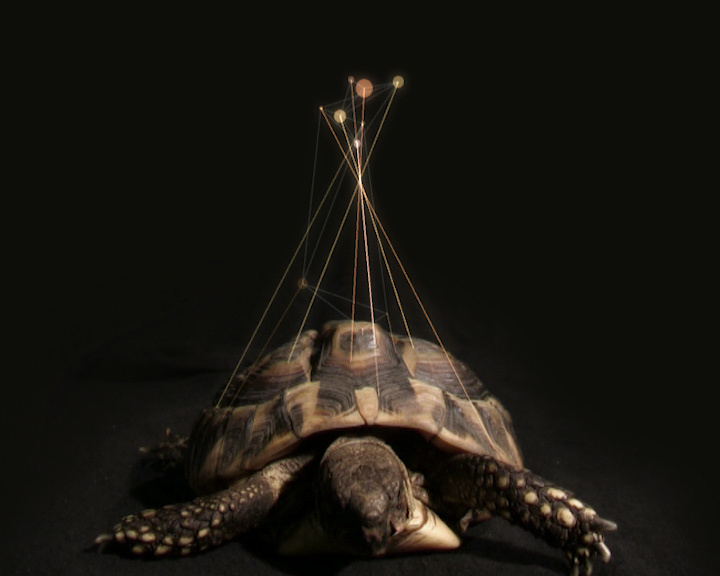 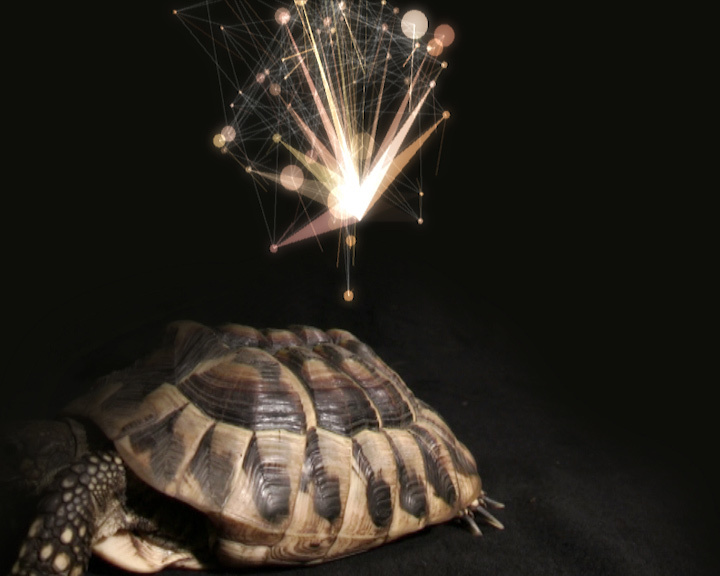 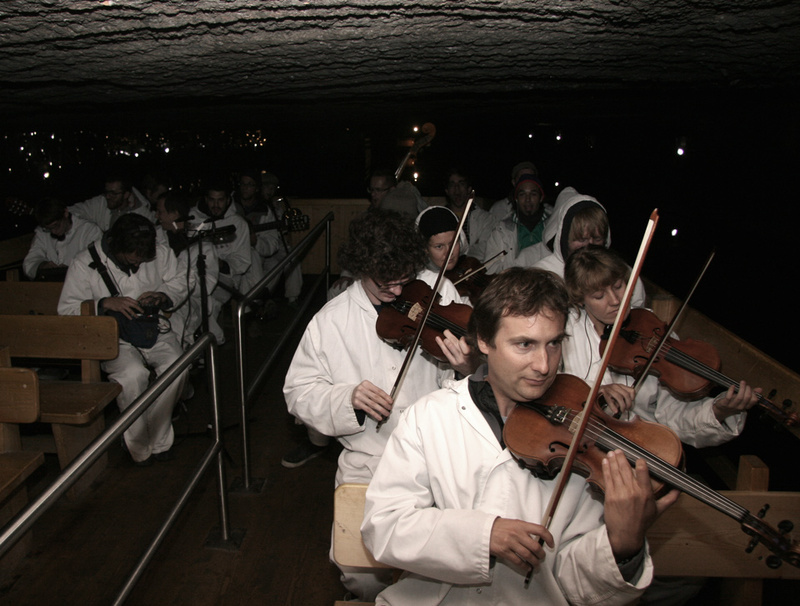 Inspired by concepts of Minimal Music and especially by the work of La Monte Young (“The Tortoise, His Dreams And Journeys”) an orchestra of 53 people was playing a single chord throughout the whole performance. 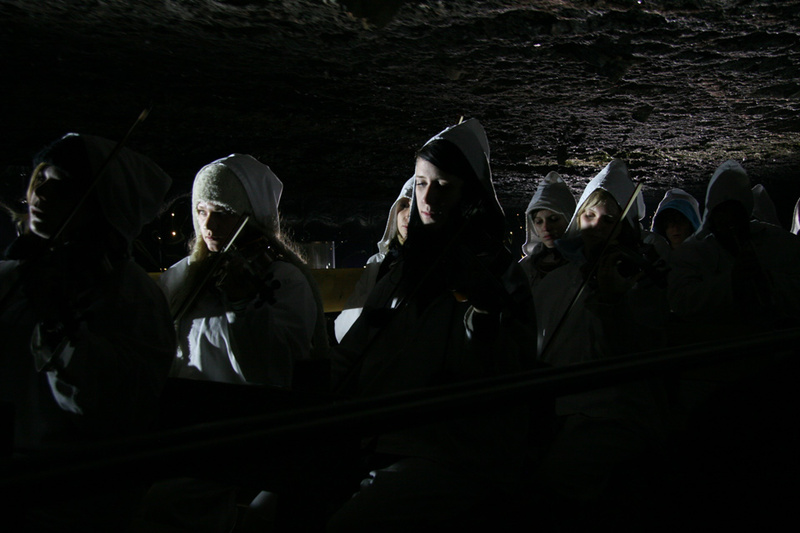 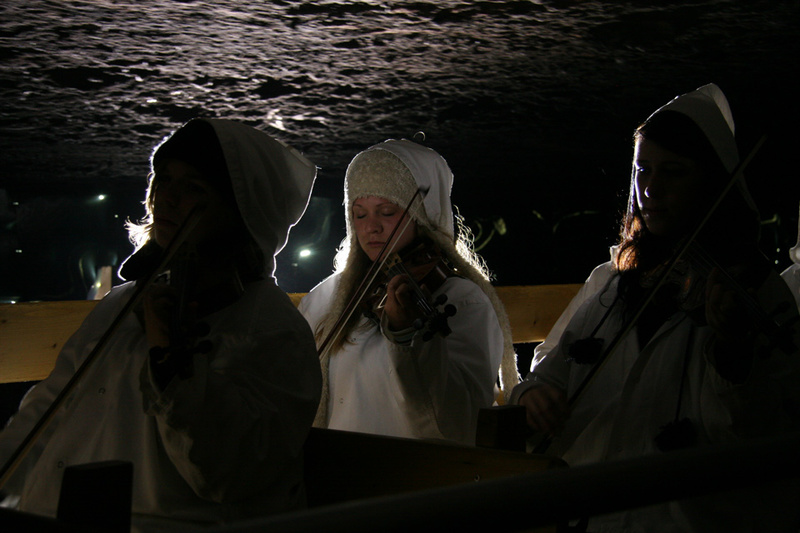 Situated about 100 meters below ground on a lake within a salt-mine the musicians and the audience are invited to experience the vibrancy of a mountain. 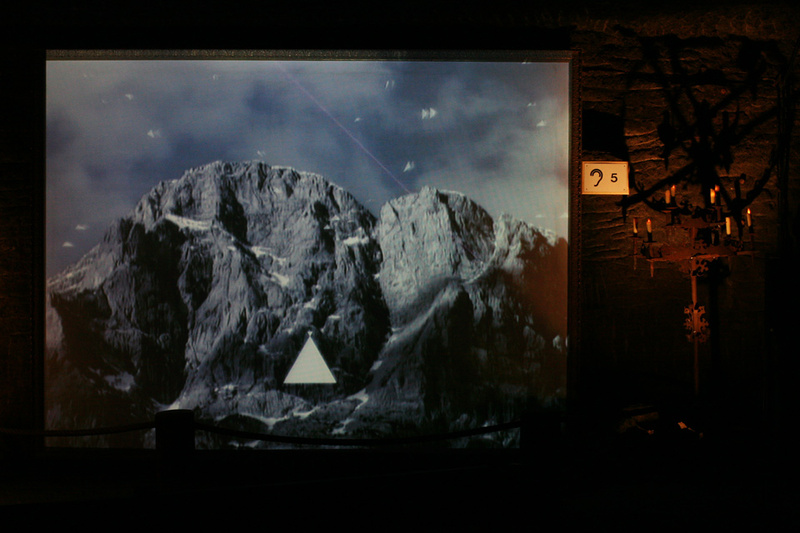 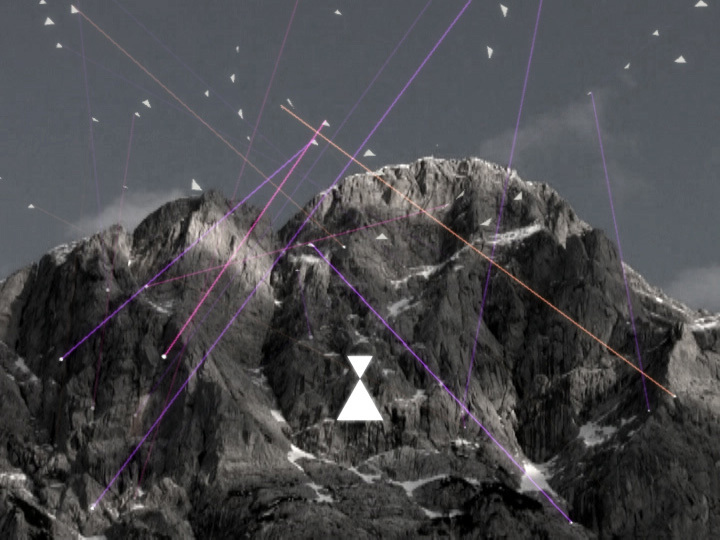 On their 30 minute walk through the mountain to and from the underground lake the visitors would pass video installations based as well on the prime number structures of the musical chord.